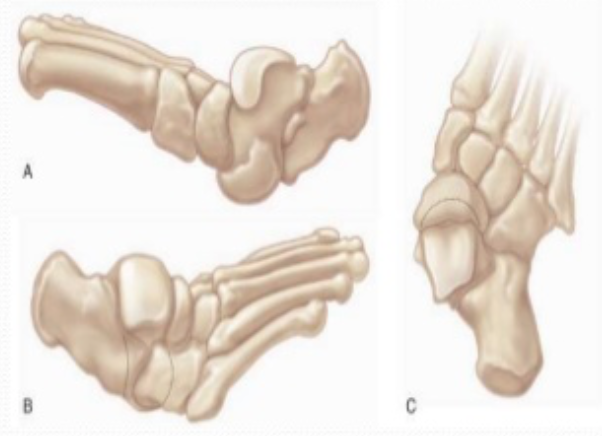 Fixed dorsal dislocation of the navicular on the talr head and neck and fixed equinus contracture of the hindfoot resulting in rigid flatfoot deformity. 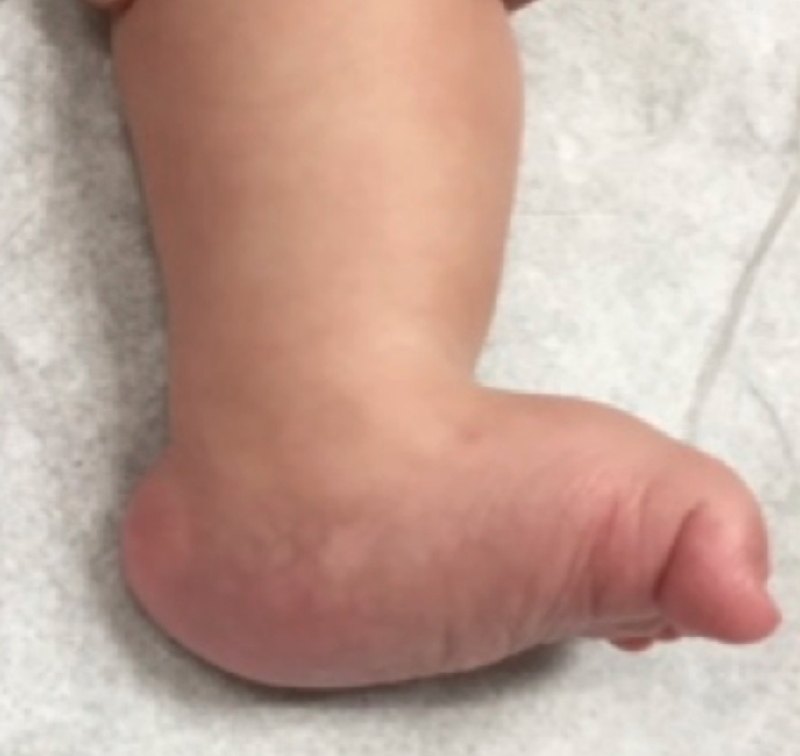 Deep creases on the anterolateral aspect of foot are evident. There is a palpable gap in between the navicular and talar neck dorsally. Exact cause is unknown, often idiopathic or associated with other neuromuscular or genetic disorder. If left untreated, will cause significant disability in future, pain is inevitable. The heel does not purchase the ground, the patient bears weight on the talar head, developing painful callosities, poor gait, and difficulty balancing. 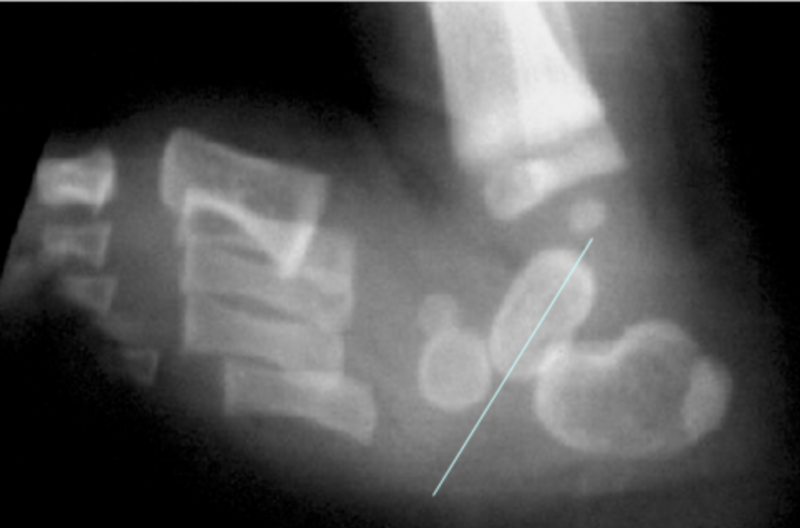 Navicular, middle and anterior subtalar facets are often hypoplastic due to positioning. medial soft tissue structures are elongated and dorsallateral soft tissue structures are contracted.